Winter Update #2 Panel Begone! 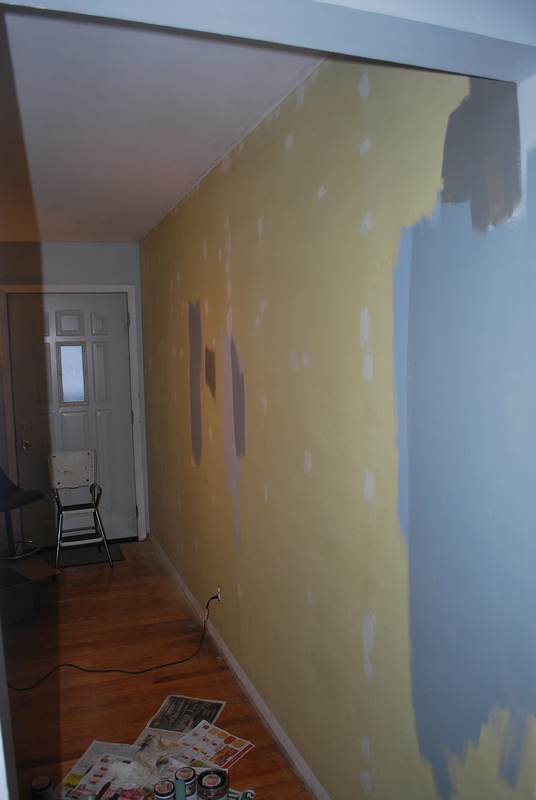 Just as we were struck with the curiosity of what was under the kitchen paneling when we first moved in, the long winter led us to wonder the same about the living room panel that we painted over. 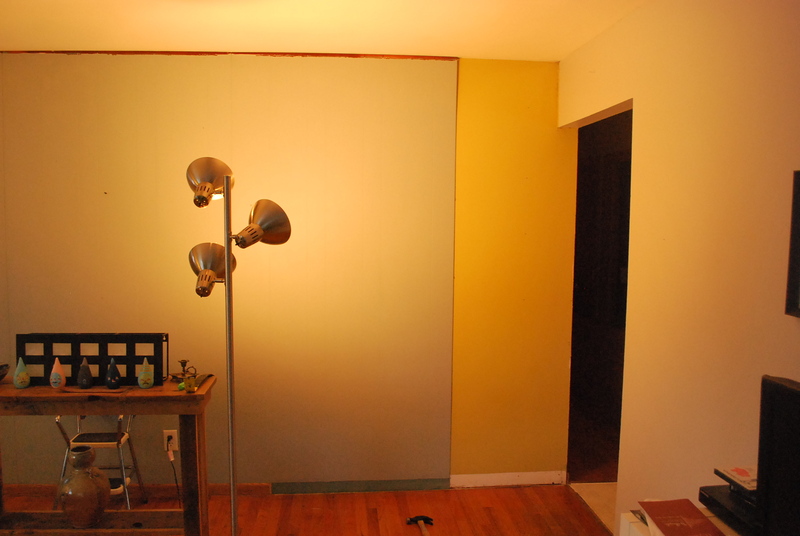 Pulling it off the wall revealed an awesome 60s throwback color of Avocado. 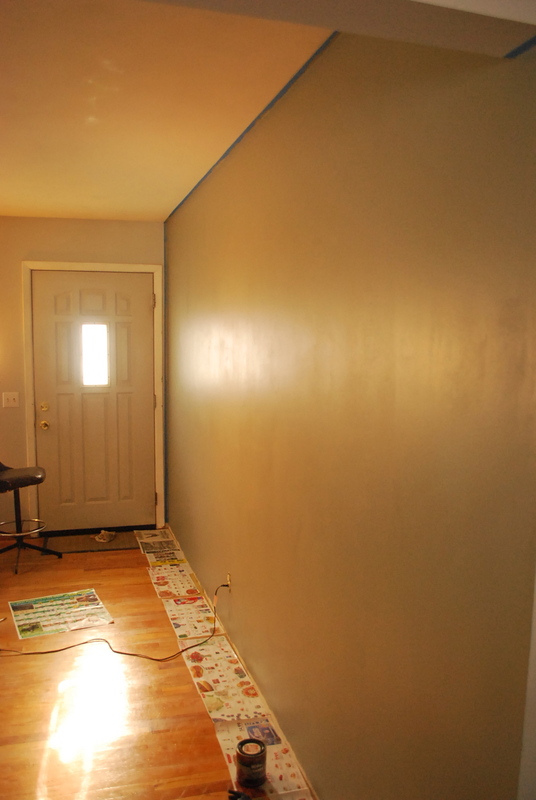 But alas it didn’t go with the decor of the room, so we decided to remove all the paneling and sand and patch the gritty surface and found an even more exciting paint color. 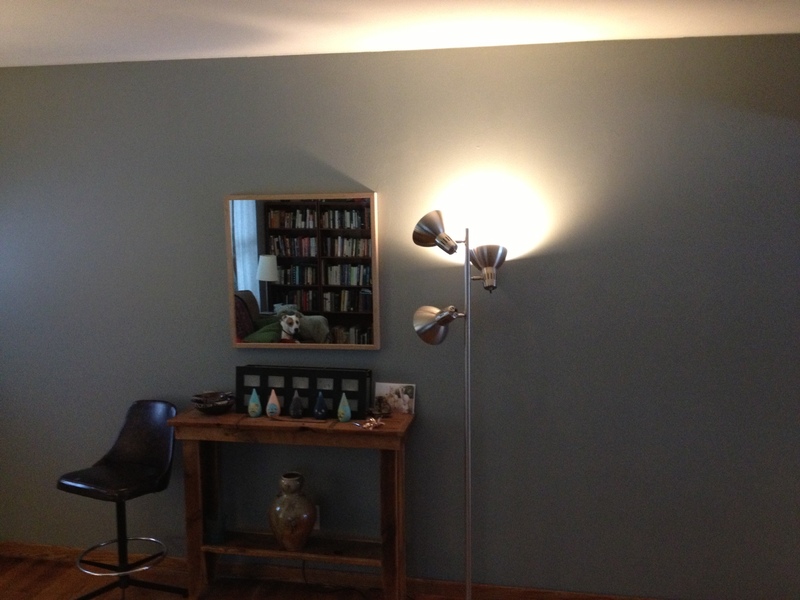 So we painted it using Behr Ultra’s Sage Grey. 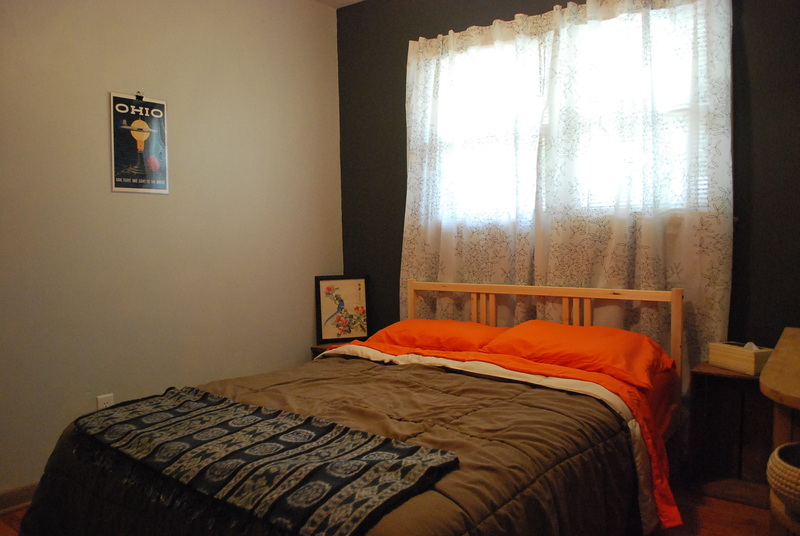 Next on the painting list: The Bedroom! We even asked you all what you thought we should do with it. 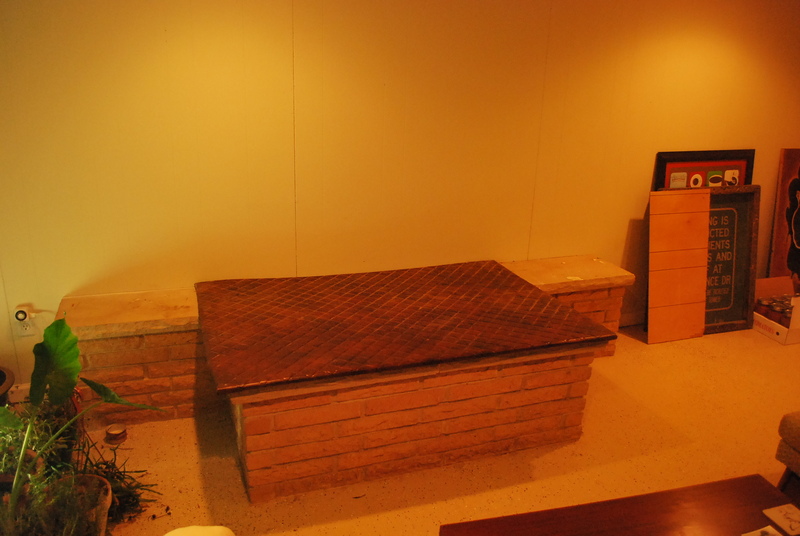 Although the koi pond was inspired, the wine cellar was fabulous, and the whelping box sounded practical, the winter ran too long and we needed so “break up” the monotony of snow in our lives. 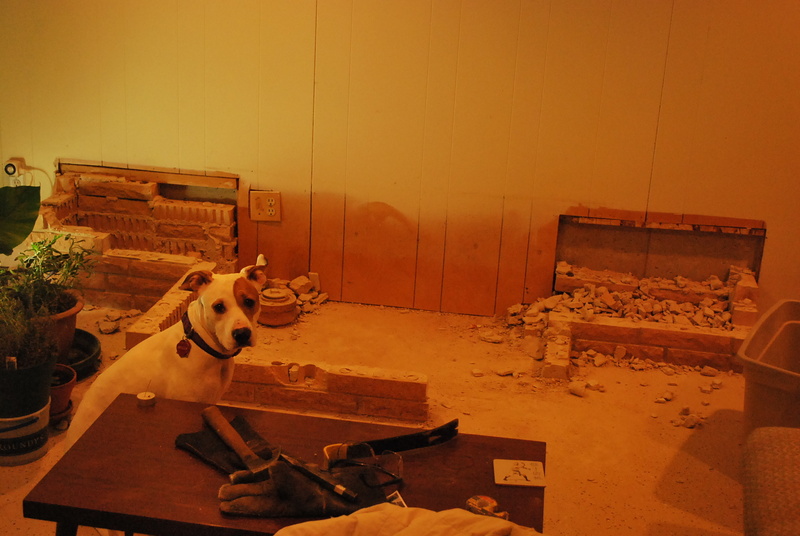 So we had a good old fashion demolition party! 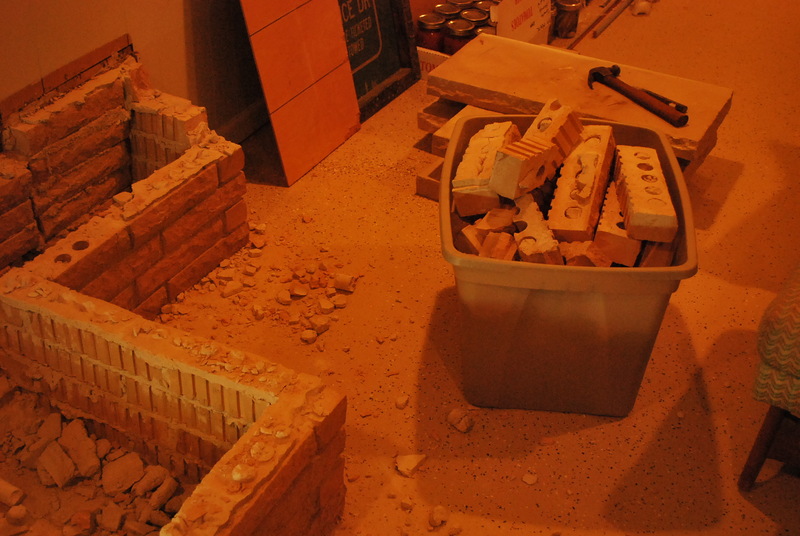 Being frugal, I thought it best to salvage as many bricks as we could to repurpose for a future fire pit? 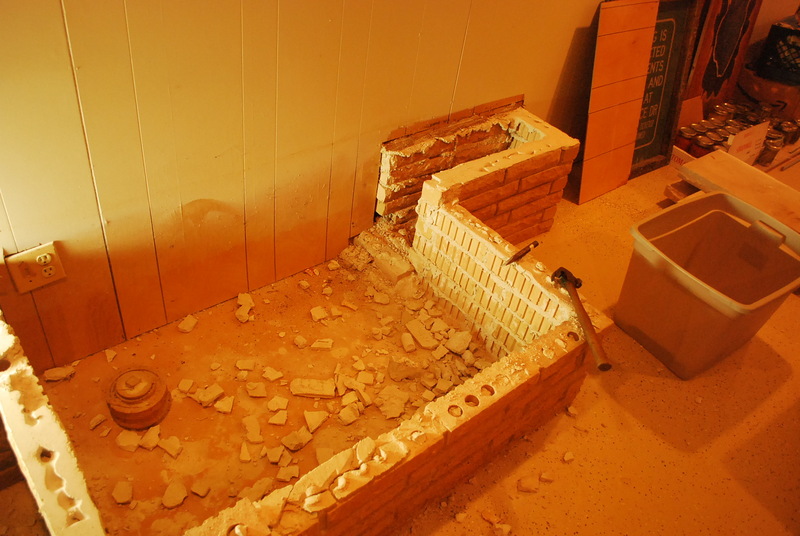 So armed with a small hammer and chisel, we slowly chipped away at the mortar holding the bricks together, collecting along the way. It was messy and dusty, and lots of sweeping was required along the way. But slowly, it began to disappear under Willa’s watchful eyes. 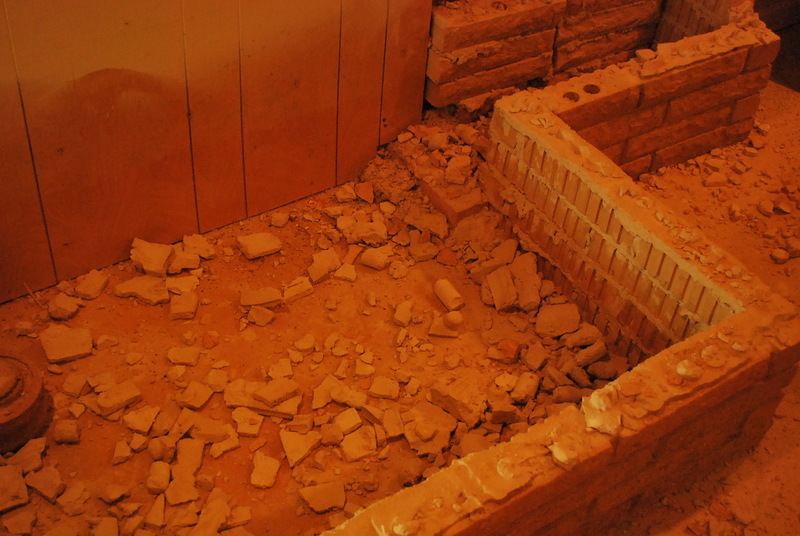 Until we were left with an empty space and holes left behind in the wall. 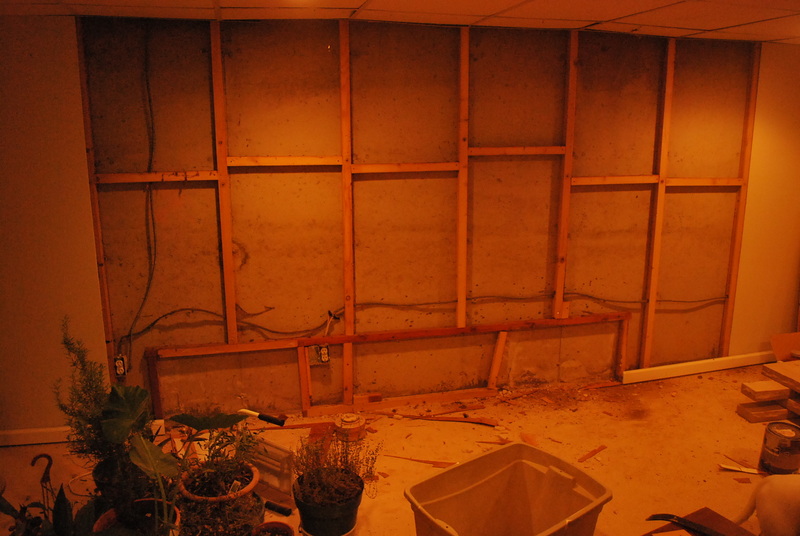 So I decided to take the opportunity to appropriate the paneling from another renovation project and redo the section of the basement wall. Ta DA!!! A plain old boring wall! 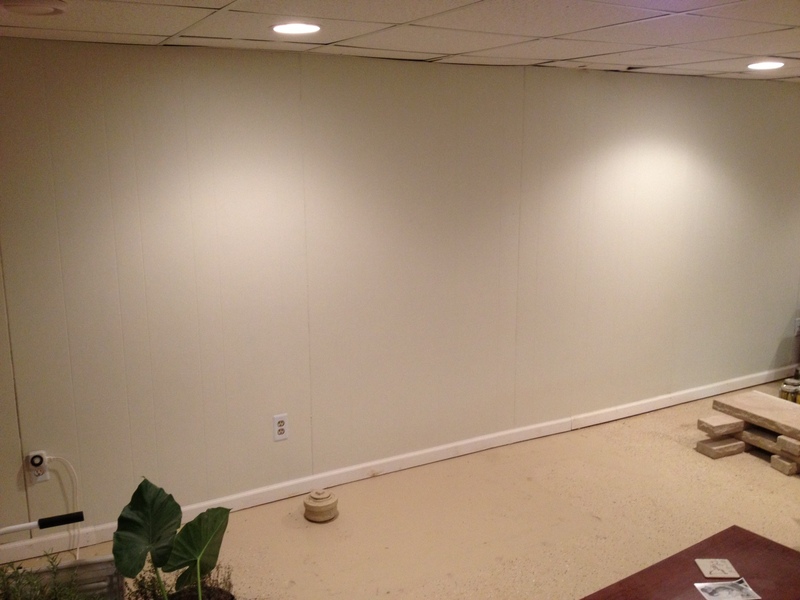 It may not seem that exciting, but with the added space, we can set up a future entertainment center. Remember, it’s winter, so even the most mundane task can be exciting when there is several feet of snow outside. Happy Holidays from Measured and Slow ! …more like Measured and SNOW, am I right? 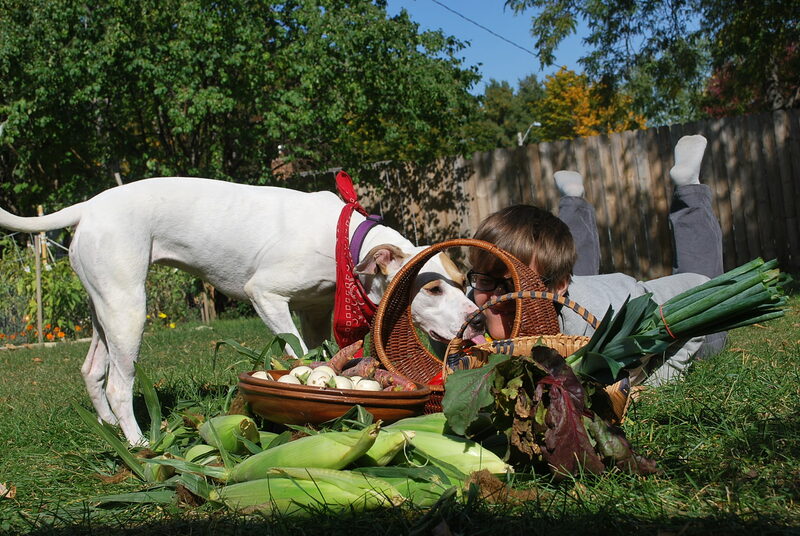 Today was the last outdoor Dane County Farmers’ Market. It’s always a bittersweet day. 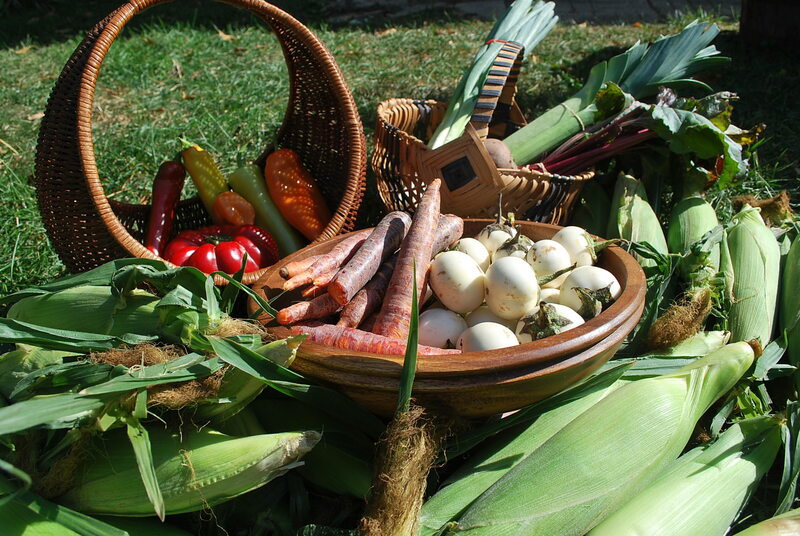 The DCFM is the largest producer only farmers’ market in the nation. 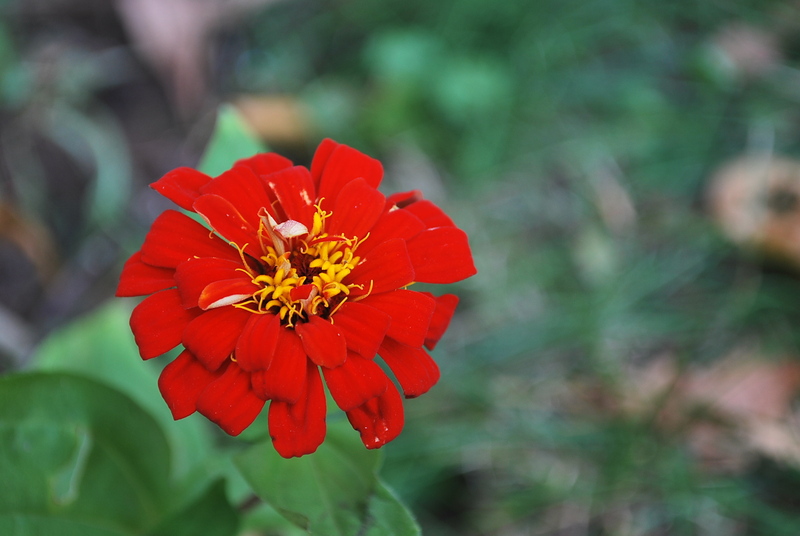 It’s a beautiful affair every saturday, as anyone who has been to it can attest. It stretches around the entire Capitol square in downtown Madison. The “sweet” part of calling the last outdoor market of the season “bittersweet” is simply that we usually find some great deals. Today’s biggest score was an incredible bounty of winter squash. Twenty five pounds of squash for only $8 to be exact. We already had the pie pumpkins and a couple of acorn squashes, but the rest we got today! We’ve been eating quite a bit of acorn squash this fall. It’s such an easy, nutritious, comforting food. We just chop one in half and roast it in the oven. Sometimes we stuff it with something yummy, but we usually just eat them with butter and salt. Mmmm. Hard to beat after a long day at work, especially when it’s chilly outside. But today, I want to tell you about a super-dee-duper easy and lovely way to use butternut squash. Most winter squashes will keep for a few to several months if stored properly in a cool, dry, dark space. That’s one of the many reasons I love them so. 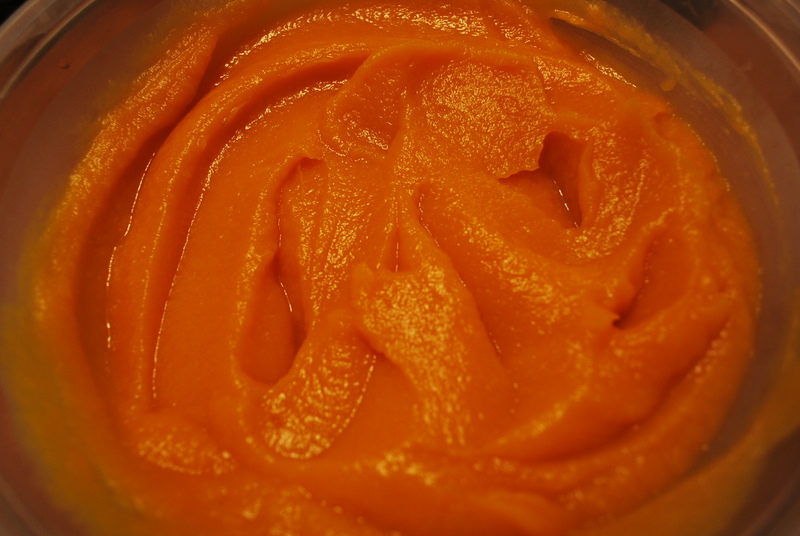 But it’s also nice to have some pureed squash ready to roll for using in pies, soups, baking, or just on its own as a side dish. You can buy canned butternut squash in the store, and it’s relatively okay tasting, but it has nothing on the complex flavor of homemade puree. No contest. And the store-bought kind is more expensive. And you have more waste. And did I mention it’s not as good? The only thing it has going for it is convenience, but it truly is not that hard to make you own. So. Maybe I will convert you today. 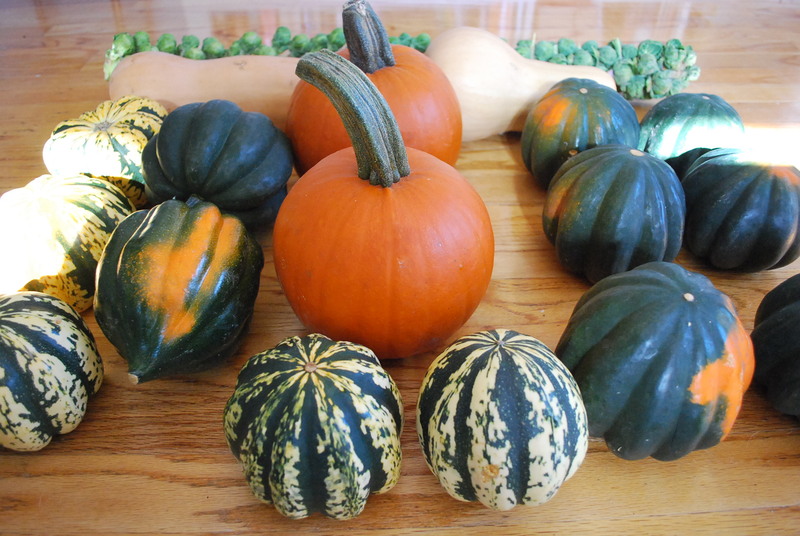 This same basic recipe can be used for most winter squash, including pumpkins and acorn squashes (pictured above). Simply adjust roasting times as necessary. 2. Rinse butternut squash under cool water. 3.Cut the squash in half lengthwise. I do this by first cutting a small slice off of the top or bottom of the squash to give me a flat, stable bottom, and then I just carefully press my knife down the middle. 4. Scoop out the seeds and scrape out the stringy membrane. DO NOT THROW THIS AWAY! Put it in a bowl off to the side so you can make awesome roasted squash seeds! 5. 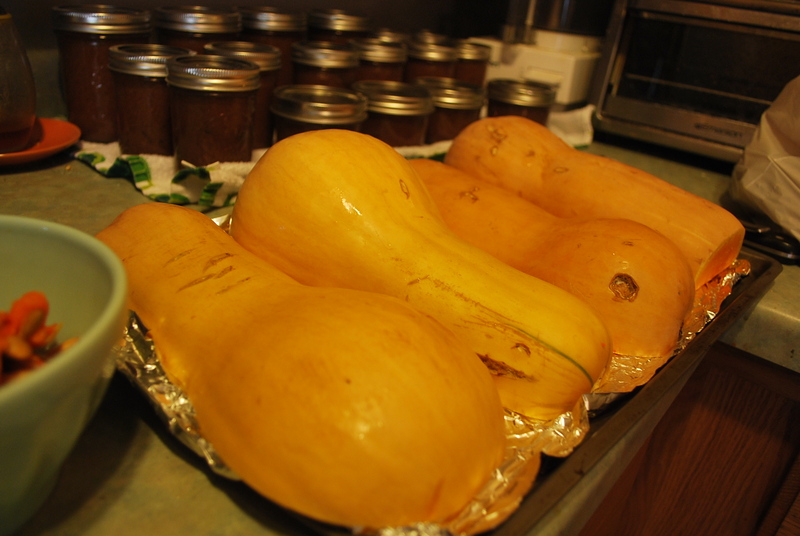 Place squash cut side down on a foil-lined baking sheet or roasting pan. Oh, and check out my apple butter that I didn’t tell you about because I took a little break from this little blog. 7. Give it a good 10 minutes or so until the squash is cool enough to handle. The skin peels off quite easily, so you don’t even need to scoop out the squash. Just pull off the skin. 8. 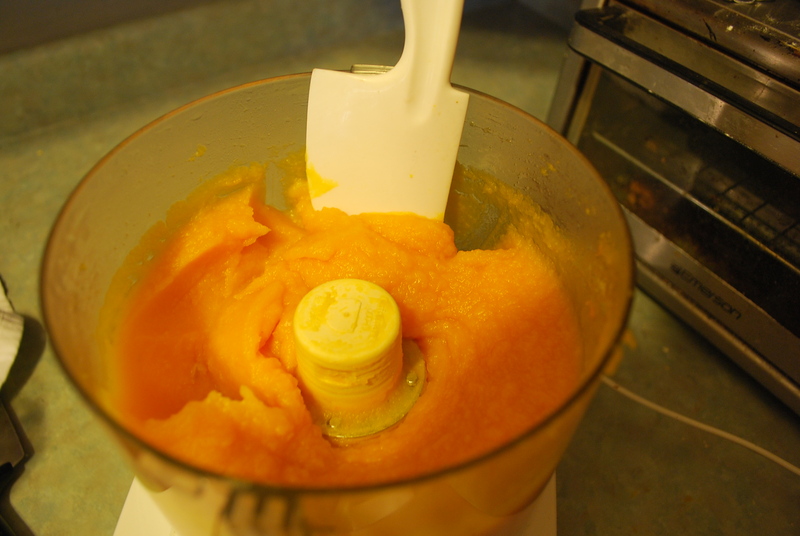 Put your delicious squash into a food processor or blender and puree it in batches until silky smooth. 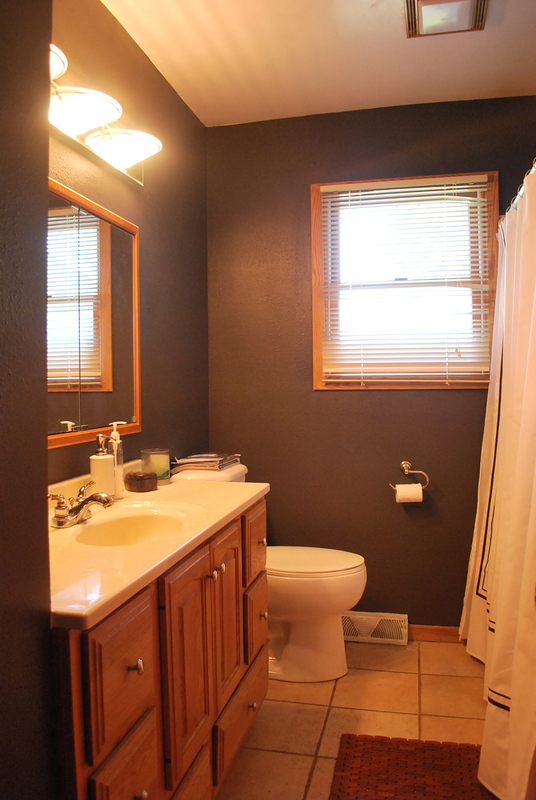 You could also use an immersion/stick blender here. 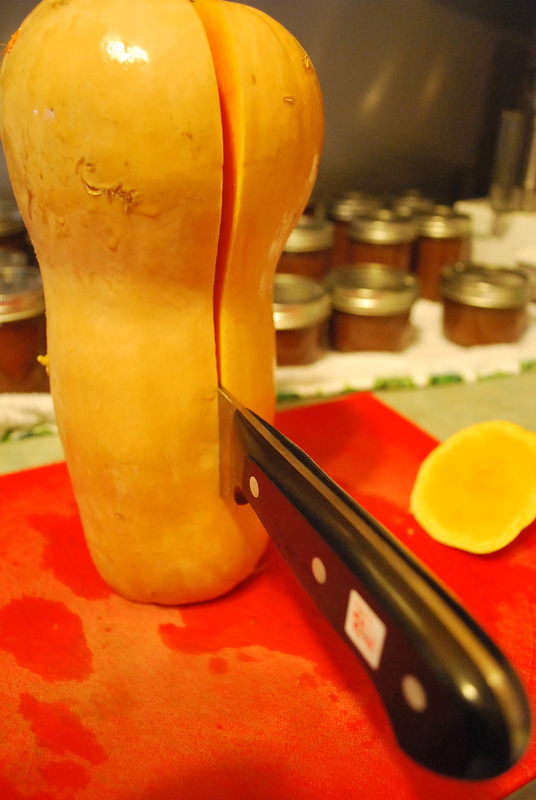 Occasionally check in on the squash and push it down to ensure all the pieces get pureed well. 9. That’s it! You’re done. 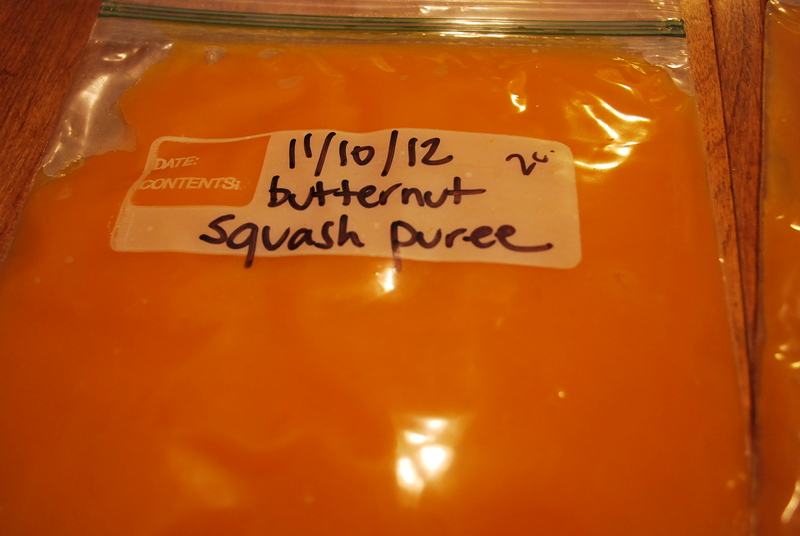 Just scoop the puree into freezer bags, label, and store flat. I portioned mine out into 3 bags of 2 cup portions and one larger bag with 4 cups of puree. 10. 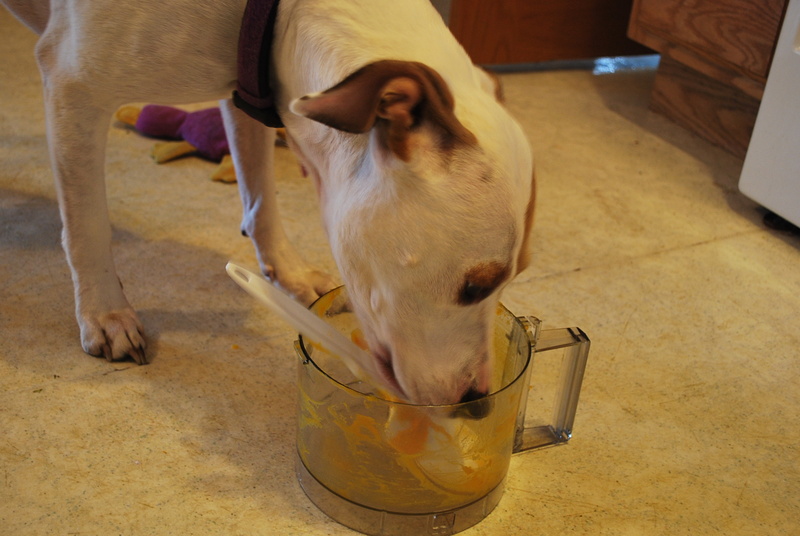 Don’t forget to let your good, patient dog lick the bowls and spoons (no knives or blades!). Now, about those seeds. After you’ve scooped them into a bowl, give them a good rinse and pick off all of the membrane. Then, throw them on a baking sheet or pan with a bit of butter or oil and seasonings of your choice (garlic salt is easy and delicious, but curry type spices, assorted herbs, and cayenne pepper are also great options). Throw the pan in the oven with the squash, and you should be good to go in less than 20 minutes. Just keep them in there until they are golden and crispy. 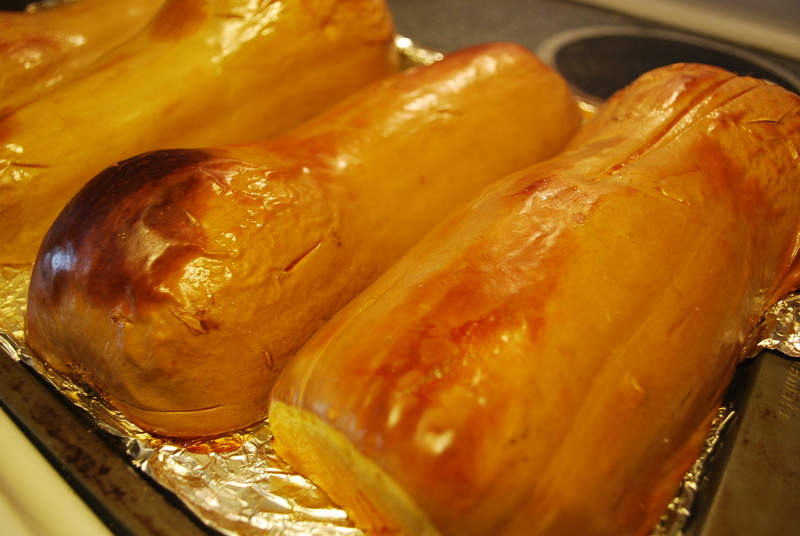 They will crisp up a bit more once they’ve cooled, but they should be fairly crunchy coming out of the oven. 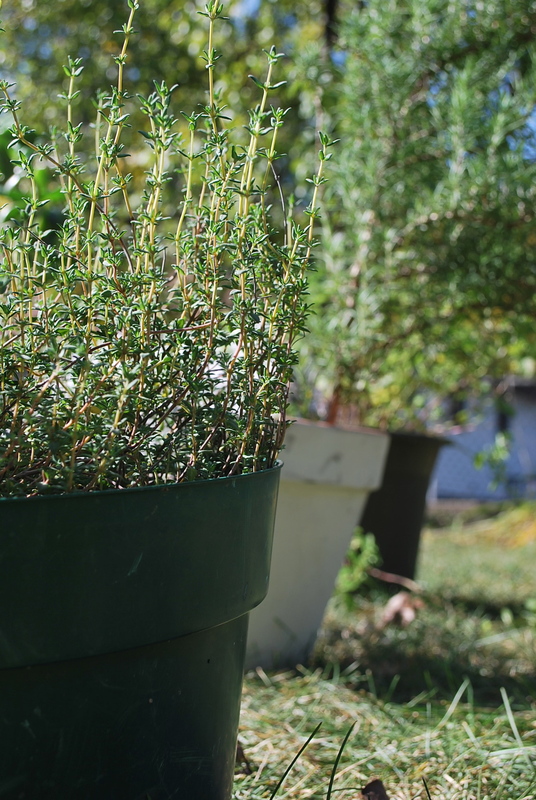 You can store them in an airtight container for a week or so, but ours never last much longer than an hour. So that’s that. 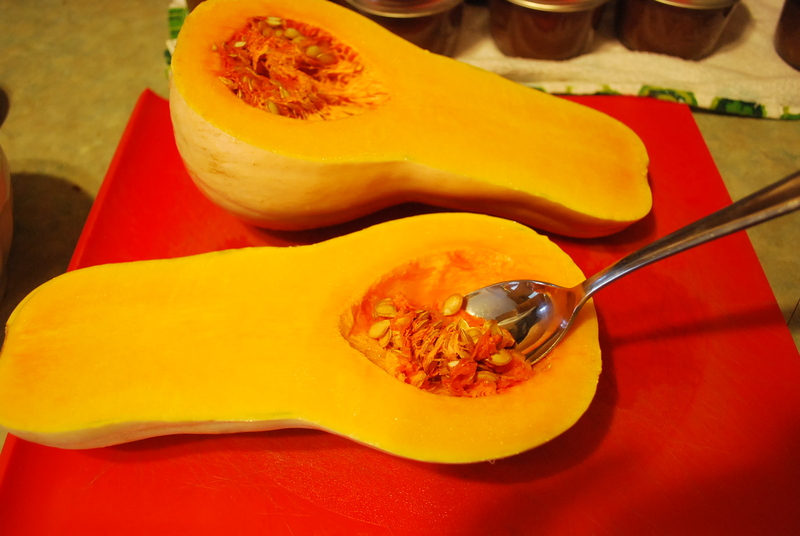 Now you have delicious, homemade squash puree and a great snack of roasted seeds. Don’t forget to put the skin in your compost. There is really no waste on this (except the foil if you use it). Feels good, looks good, tastes good, and makes the house smell yummy! 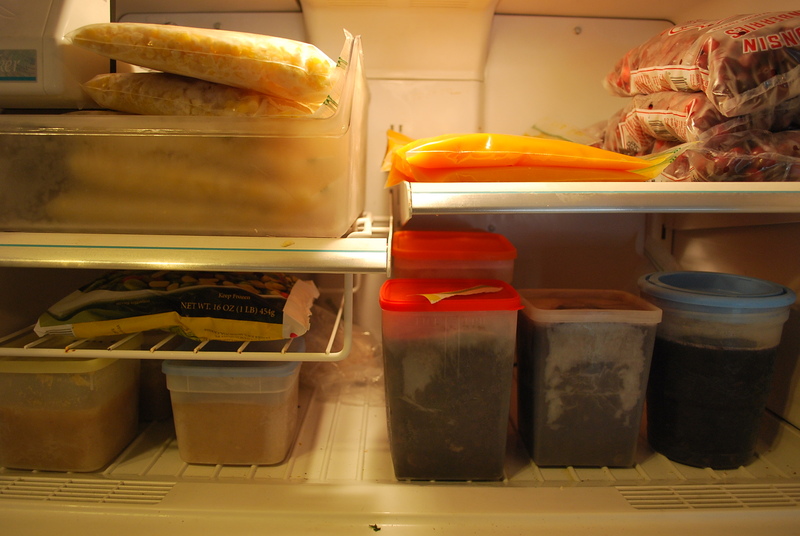 And the best way to ensure you don’t ever “go back” to store-bought is to make sure you always have some ready to use in the freezer. Plan ahead, and you’ll be eating better and saving money in no time. Sweet corn, butternut squash puree, WI cranberries, black & pinto beans, and pear sauce– all homemade! The one store-bought item is that bag of soycutash from Trader Joe’s. Love that stuff. 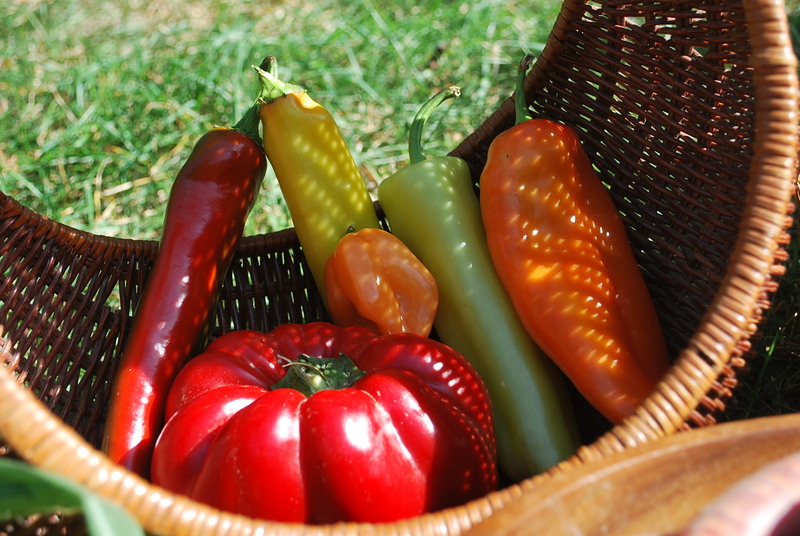 Today’s delicious finds at the Dane County Farmers’ Market: last round of sweet corn, white thai eggplants, purple carrots, bountiful hot & sweet peppers, green onions, leeks, beets (with greens!). 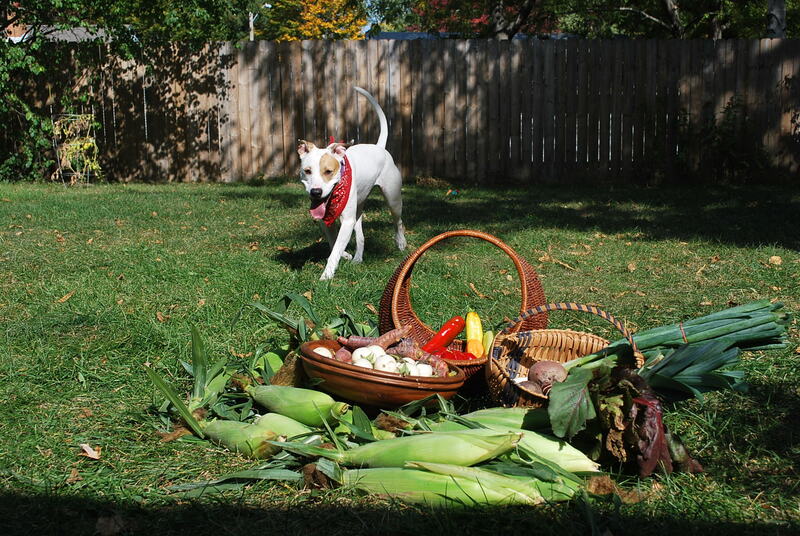 Beautiful veggies, beautiful pit bull, beautiful weather. Everything I ever wanted. Our tomato plants are still full of goods. 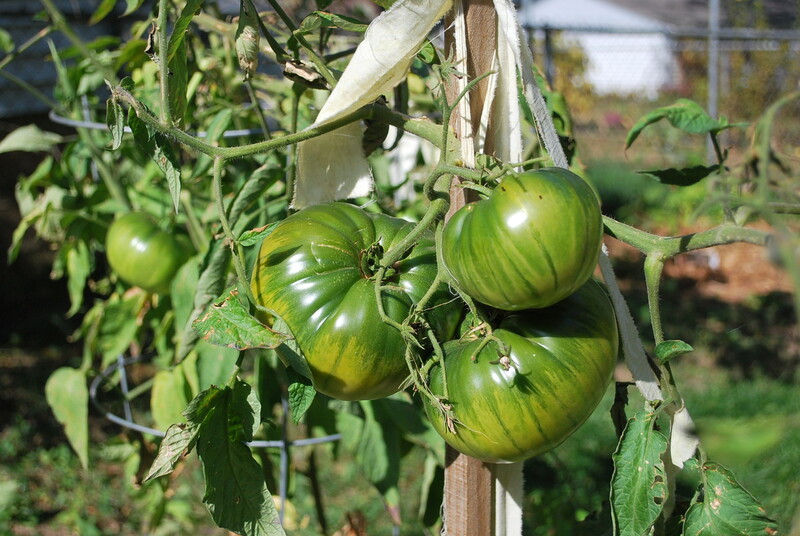 We’re hoping they ripen up quickly this week while it’s a little warmer! 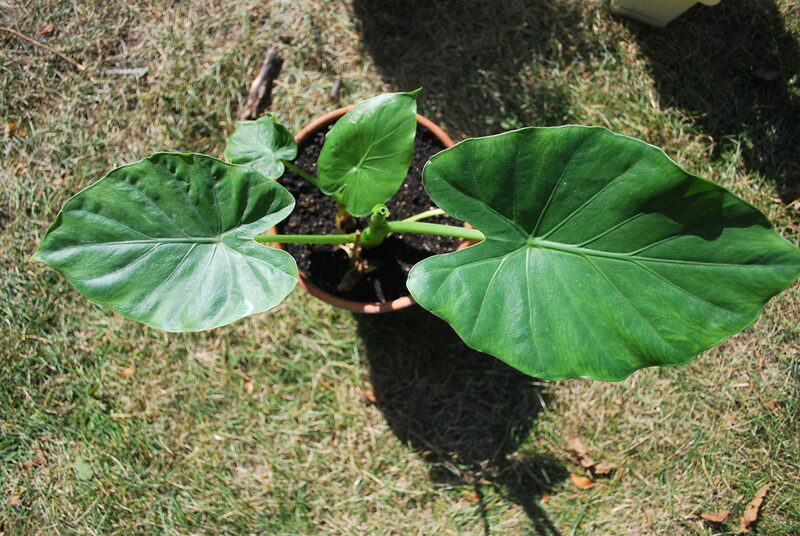 Our precious elephant ear is finally back on the mend. And it’s lovely. There are so many reasons why I can & preserve food. The list is actually quite long. But there is one reason that outdoes the rest. And tonight, I felt it strongly and it gave me just the shot in the arm I needed to keep me going. This weekend, Lanny and I bought 26 ears of corn at the farmers’ market that I shucked, blanched, cut, and froze while he was at work on Saturday. We also bought 6 pounds of beans ($1.50/lb. at the end of season-wahoo!!) 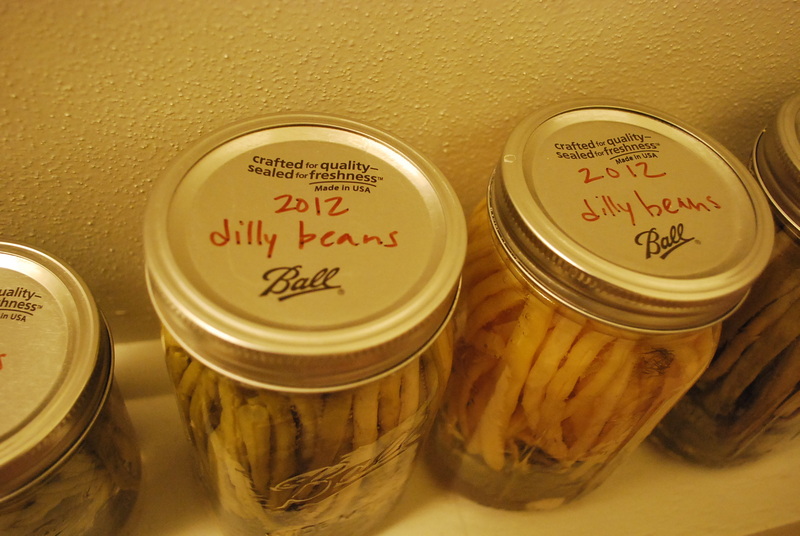 which we canned on Sunday–dilly beans for days & days! I had some brine left over and room in the canner, so I threw in a couple of pints of super spicy aji peppers as well. Like I’ve said, I have a long list of reasons why I’ve committed to doing this, but I would be lying if I didn’t admit that it’s tiring work. After spending so many hours of my weekend in the kitchen, I came home after a long day of work tonight to a pile of pears that needed tending to ASAP and a bucket of tomatoes that need to be canned by tomorrow at the latest. After devouring a delicious meal of garden kale, pinto beans, red potatoes, and fresh tomatoes (courtesy of my wonderful partner), Lanny and I dug deep for energy, and cooked down about 5 pounds of pears from our tree into pearsauce (like applesauce, but with pears). 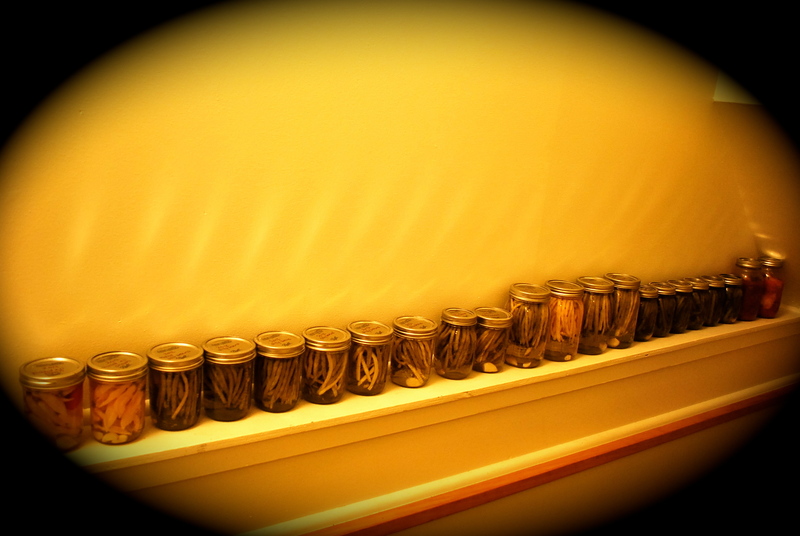 As the smell filled the house, and we cranked away using my mom’s old food mill, I started to feel the feeling I chase in all my hours of canning: I felt my Grandma Swartzentruber nearby. 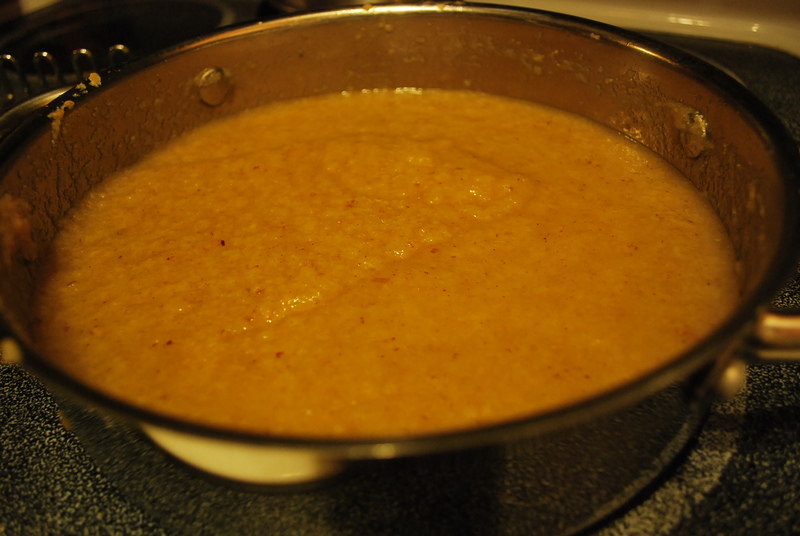 One of my grandma’s specialties was her most delicious applesauce which she made from good ol’ Ohio Yellow Transparent apples. She canned and froze it– but everyone’s favorite was always the frozen version. It’s impossible for me to eat applesauce without thinking of her, and comparing it to hers. For as long as I live, one of my all time favorite meals will always be warm Grandma Noodles with a plop of frozen Grandma Applesauce on top. Makes my stomach growl just thinking of it even after that hearty meal. Tonight, after a long session of standing over the stove sampling and mmming and sampling and mmming, I grabbed a few of my Grandma’s old freezer containers that I selected out of her basement storage after she passed away, and spooned the pearsauce into them. 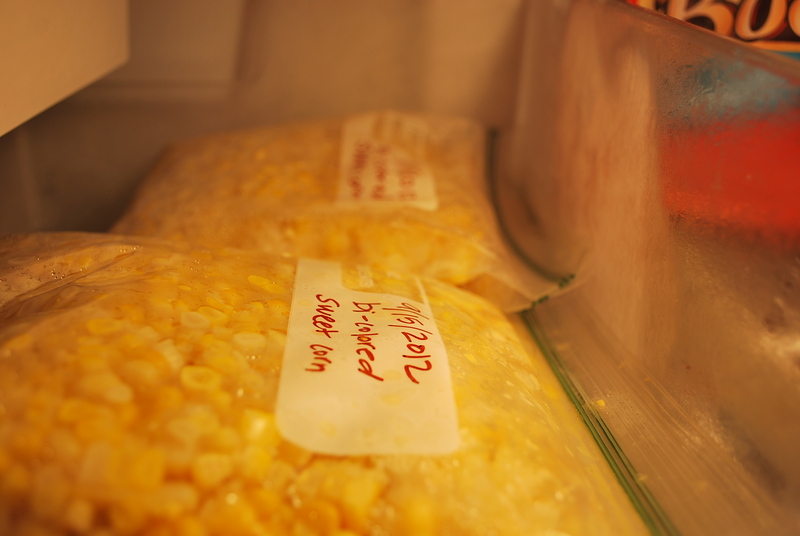 As I went to secure the lid, I looked down to see “baked corn” in her handwriting inscribed in sharpie on the upper right hand of the yellow plastic. My eyes swelled up, and I just lost it. I stood there with my hands where hers had once been, and just howled. 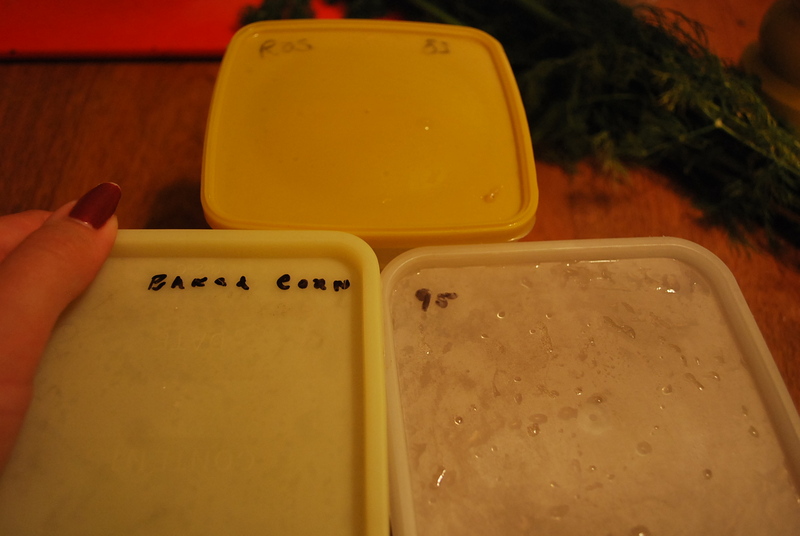 Labelled: 83, Baked Corn, 95. I miss her so, so much. 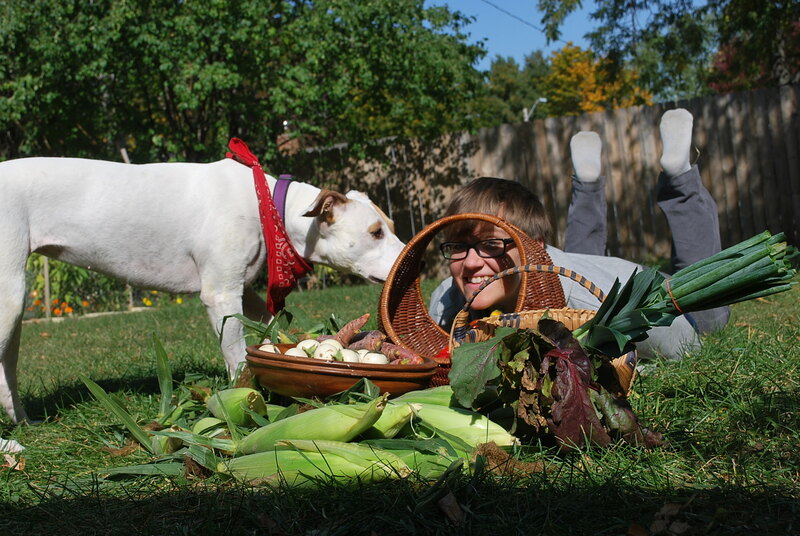 I hate that I didn’t learn the art of food preservation from her. I will never get over my regret of that. And it breaks my heart that she can’t see my house, our garden, my stores of food in the basement and the freezer. Just rips me right up. 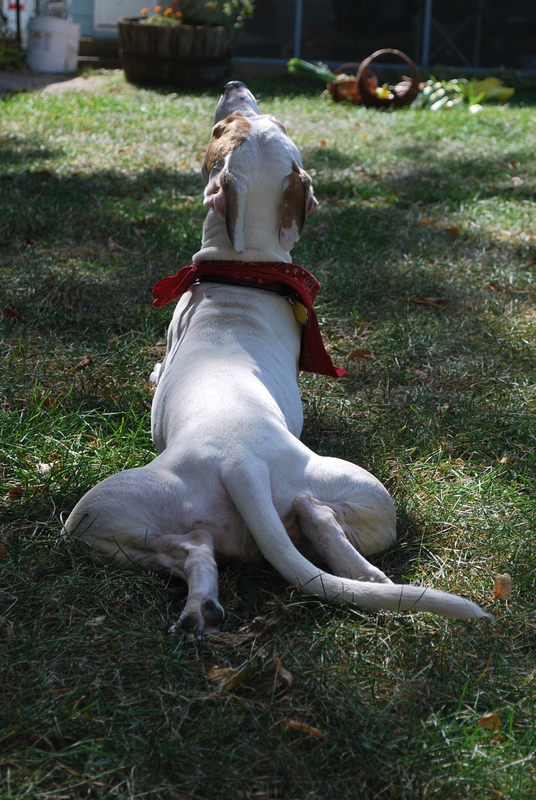 But I also know that she’d be so proud of me for carrying on this labor-intensive practice. And one thing is for sure– I will continue to spend hours upon hours every summer prepping food, washing jars & lids, burning my hands on my canner lid (will I never learn? ), waiting, labeling, etc. for as long as I am physically able, and if I only feel her presence once every dozen times, it will always be worth it. I love her. I miss her. I hope to be like her. And that’s really why I do it. Oh & by the way, all the yellow is gone. 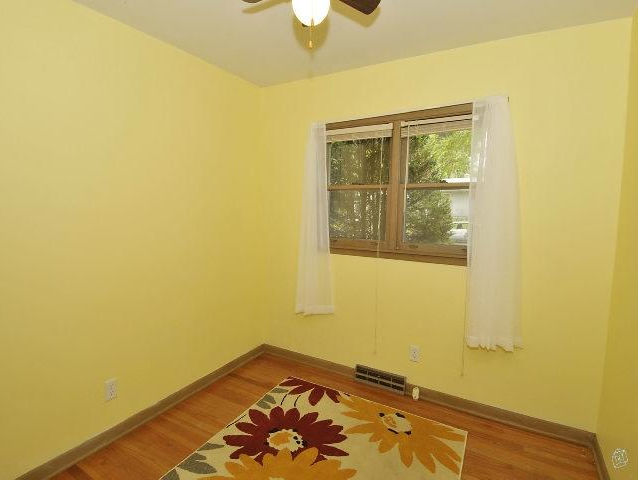 So remember those yellow rooms? 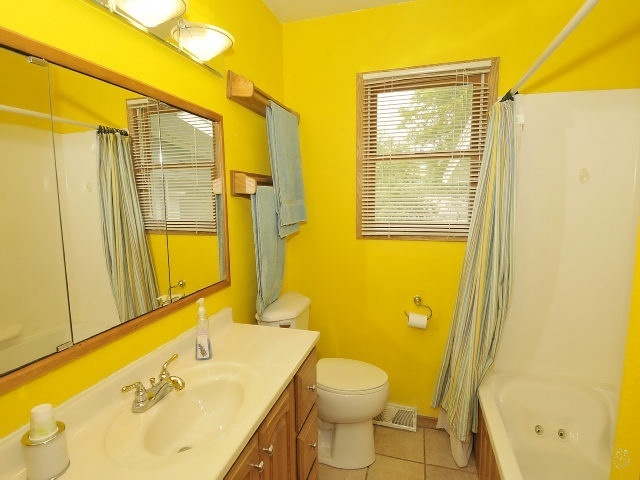 Yeah, those have been non-yellow for a while now. We haven’t done many home update posts in a while. 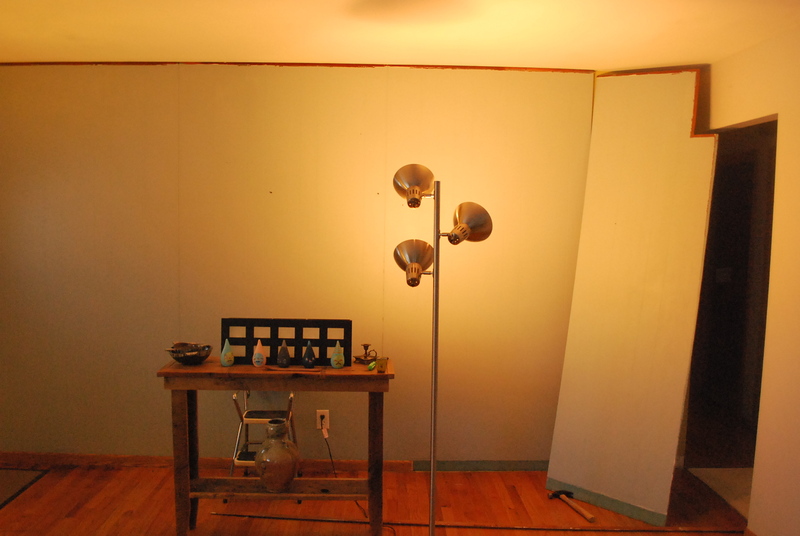 Mostly because we haven’t taken the time to straighten things up and take good shots in pretty lighting. I’ve decided something is better than nothing at this point, so I just took a couple of pictures so we can get this out there. 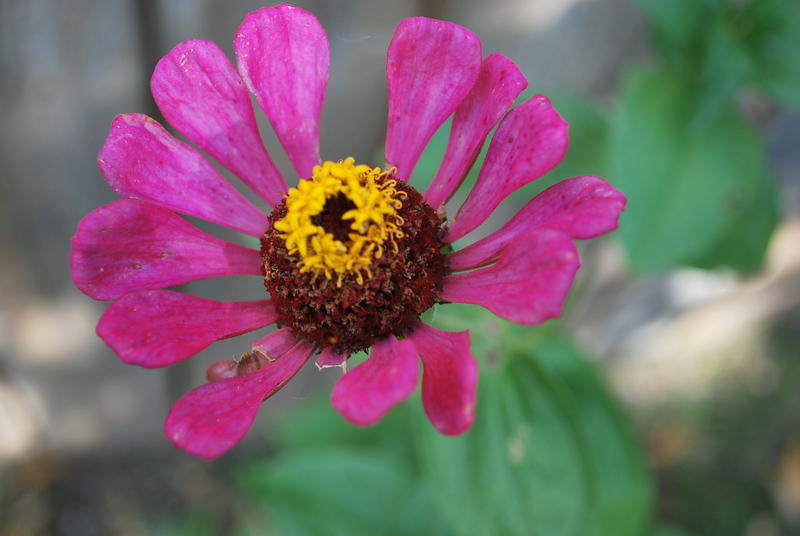 One of these days, I’ll have the baby sis come take some proper shots and everything will look much prettier. But until then, check it out!